Tony Bonyhady, The Australian's Review of Books , 'With heads held high', pg. 14-16, Sydney, Jun 1999, 15 (colour illus.). Modern Australian painting, 1950/1975 , Adelaide, 1980, frontispiece (colour illus.). Portrait of a Gallery , 'Australian 20th Century Art', pg. 71-89, Sydney, 1984, 77 (colour illus. ), 76. Joshua Smith: artist 1905-1995 , 'Art works and anecdotes', pg. 71-88, New South Wales, 1998, 83. Rebecca Corbell, The Possibilities of Portraiture , "Introduction", pg. 5-6, Canberra, 1999, 7 (colour illus.). William Dobell: his life, art and home , 'Life at Wangi', pg. 75-97, New South Wales, 2011, 77, 78 (illus., detail), 79, 94 (colour illus. ), 134. NOTE: Photograph on page 78 has Dame Mary Gilmore standing infront of Dobell's portrait. William Dobell: an artist's life , 'Life at Wangi', pg. 127-172, New South Wales, 2010, 66, 69, 132, 133 (colour illus. ), 134 (illus. ), 135, 195 (colour illus.). NOTE: Photograph on page 34 has Dame Mary Gilmore standing infront of Dobell's portrait. 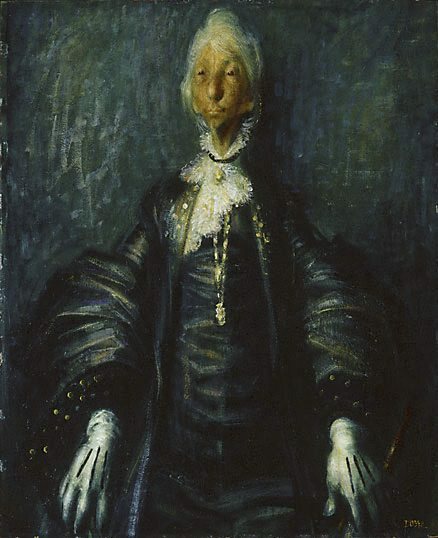 Mary Eagle, A tribute to William Dobell , 'The strength of life', pg. 10-41, Canberra, 1999, 14, 17. Uncommon Australians: towards an Australian portrait gallery , Sydney, 1992, 95 (colour illus.). James Gleeson, The drawings of William Dobell in the Australian National Gallery , 'The draughtsman as artist', pg. 6-17, Canberra, 1992, 10, 13. James Gleeson., Sun , 'Art's "anemia": Prize "not to best portrait"', Sydney, 12 Dec 1957, page unknown. Archibald Prize review. Anne Gray, Face: Australian portraits 1880-1960 , 'Face: Australian portraits 1880-1960', pg. 15-41, Canberra, 2010, 20, 21 (colour illus.). Famous people: a selective who's who from works in the Art Gallery of New South Wales , Sydney, 1981, 6 (illus.). Geoff Hocking, Currency lads & lasses: behind the faces on Australian banknotes , 'Dame Mary Gilmore', pg. 188-193, South Melbourne, 2004, 192 (colour illus.). Shireen Huda, Pedigree and panache: a history of the art auction in Australia , 'Chapter 4. Australian Art at auction: the 1960s market', pg. 55-77, Canberra, 2008, 62. John Kelly, Art Monthly Australia , 'William Dobell: An artist's life', pg. 44-45, Canberra, Nov 2010, 45 (colour illus.). Review of Elizabeth Donaldson book on Dobell. Joan Kerr, Art Monthly Australia , 'The possibilities of a National Portrait gallery', pg. 2-8, Canberra, Apr 1999, 7 (illus. ), 8. A singular voice: essays on Australian art and architecture , 'The possibilities of a National Portrait Gallery, 1999', pg. 75-81, Sydney, 2009, 77 (illus.). AGNSW Collections , 'From Colonialism to late Modernism', pg. 7-106, Sydney, 1994, 48, 49 (colour illus.). Art Gallery of New South Wales Quarterly , 'Acquisitions for 1960', pg. 58-67, Sydney, Apr 1961, 58, 60 (illus. ), 61. Art and medicine: reminiscences & reflections of a retiring surgeon , 'Postlude', pg. 79-87, Melbourne, 1999, 87. Barry Pearce, Art Gallery of New South Wales handbook , 'Australian', pg. 13-35, Sydney, 1988, 26, 27 (illus.). 52 views of Rudy Komon , Sydney, 1999, 46 (illus.). NOTE: There is a black and white photograph of Rudy Komon and Dame Mary Gilmore infront of this painting. Let's face it: the history of the Archibald Prize , 'The Postwar Years', pg. 40-62, Sydney, 1999, 51 (colour illus.). Modern Australian painting and sculpture: a survey of Australian art from 1950-1960 , Adelaide, 1960, 35 (colour illus.). Judith White, art lovers: the story of the Art Gallery Society of New South Wales 1953-2013 , 'Chapter 2: After the Ball1960-1972', pp. 41-64, Sydney, 2013, 6 (illus. ), 42. Judith White, Australian art collector , 'Yours sincerely: William Dobell', pg. 56-59, Sydney, Apr 2000-Jun 2000, 58 (colour illus. ), 59. Unknown, Touchdown School Magazine , Sydney, Jul 1994, (illus.). William Dobell: the painters progress , Sydney, 1997, (illus.). Unknown (Editor), Australian readers: discovering democracy , 'Family comes first', pg. 56, Carlton South, 2002, 57 (colour illus.). Upper Secondary school text book. Includes the poem 'Nationality' by Dame Mary Gilmore.